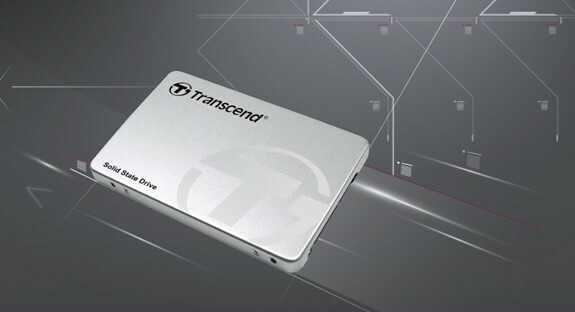 Transcend Information, Inc. (Transcend), a leading manufacturer of storage and multimedia products, is pleased to introduce its TLC NAND flash based SSD220 SATA III SSD and MTS280 M.2 SSD as the cost efficient alternative to satisfy the needs of the users who wants a speed boost for their laptop and desktop PC. Equipped with a DDR3 DRAM cache and SLC caching technology, both of Transcend's SSD220 SATA III SSD and MTS280 M.2 SSD are capable of delivering exceptional read and write performance that compare favorably with a MLC NAND flash based SSD, which makes it an ideal choice for gamers and students who is on a tight budget without breaking the bank. Not only that it's capable of transfer speeds of up to 550MB/s read and 450MB/s write, the Transcend SSD220 SATA SSD features also an incredible 4k random read and write performance of up to 330MB/s that dramatically improves system boot-up, games and application loading times at an economic price point over any existing traditional hard drives. Other than its blazing-fast performance, the Transcend SSD220 is made compatible for mainstream desktop PC and Ultrabook, all thanks to its dimension which measures only 6.8mm in height and weighs only 63g. It also features a full support of SATA Device Sleep Mode (DevSleep) which helps to prolong notebook battery life by consuming up to 90% less power. The bundled Transcend SSD Scope software is a free utility that allows you to monitor your SSD's health status with S.M.A.R.T. technology, enable the TRIM command for optimum write speeds, keep your SSD's firmware up-to-date, and migrate data from your original drive to a new SSD in just a few clicks. For users who needs a quick SSD speed boost for their system but is restricted by the strict size limitations of their small form factor devices, the Transcend MTS820 M.2 SSD is your speedy and affordable choice. By utilizing SATA III 6GB/s interface and its built-in SLC caching technology, the Transcend MTS820 is able to achieve of transfer speed of up to 550MB/s read and 420MB/s write write which will greatly improve your system performance with shorter loading time for games and applications, faster system boot-up time. In addition to its speed, the Transcend MTS820 features also full support of SATA Device Sleep Mode (DevSleep) which helps to prolong notebook battery life, as well as commands such as S.M.A.R.T, TRIM and NCQ to deliver that peerless reliability over any traditional NAND flash SSD.